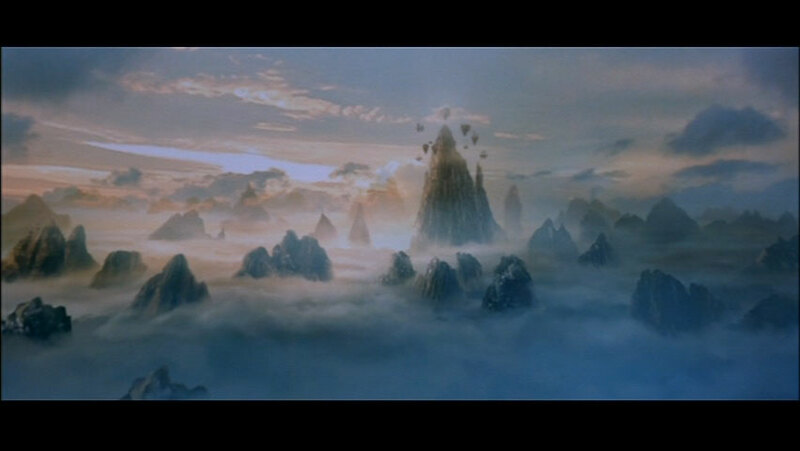 Tsui Hark revisits the mythical land of Zu 18 years after the original. Neither a remake nor a sequel, but something in betweeen (a requel?). For me, this movie is all about great ideas, though little else. The design is stunning, rarely failing to impress. The inventiveness of the different weapons really stands out. In many ways Legend of Zu is more like a videogame than a movie. There is a bold sense of scale, much better defined than the original movie, where the setting was often deliberately vague. 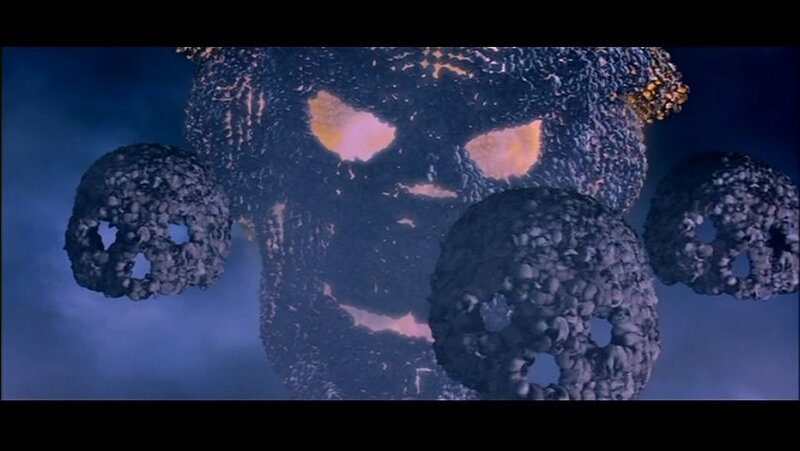 The sound, both score and effects are fantastic, the disturbing screeches of the phantom troopers are particularly unearthly. 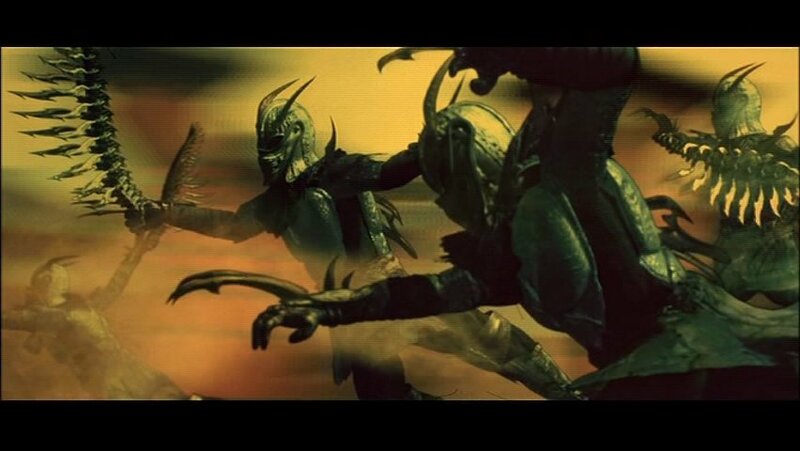 Whilst the first movie used special effects to revitalize the fantasy genre in Hong Kong cinema, this film sports a rather heavy handed use of computer generated special effects which, while looking pretty, unfortunately smother the movie. The actual story can be initially confusing (see the synopsis below), there are lots of characters, but most seem to lack personality. The result is a rather sterile effort drenched in computer generated imagery. The movie stars Ekin Cheng (King Sky), a former pop star turned actor, who is undoubtedly the easts answer to Keanu Reeves, emotionless and forever bland. Fortunately their are so many characters that he rarely has to hold the spotlight for long, however the script rarely allows anyone to express themselves. Sammo Hung and Zhang Ziyi are totally wasted in their roles and add nothing to the movie. One aspect of the original movie that this one fails to duplicate is the dichotomy between mortal and immortal. In Legend of Zu any mortals are totally irrelevant and thus it is difficult for the audience to connect to the characters. Whereas in the original, the central character was a mortal who essentially becomes immortal, so we go with him on that journey and it becomes much easier to empathise with whats going on. The fighting is almost exclusively handled at mid range with animating weaponry, whilst there is nothing intrinsically wrong with this, because there is virtually no actual melee in the movie theres nothing to weigh this against, and it inevitably has less impact as a result. Insomnia. More pug-ugly than menacing, Insomnia also has the handicap of having been blessed (or cursed) with a grating high pitched voice. 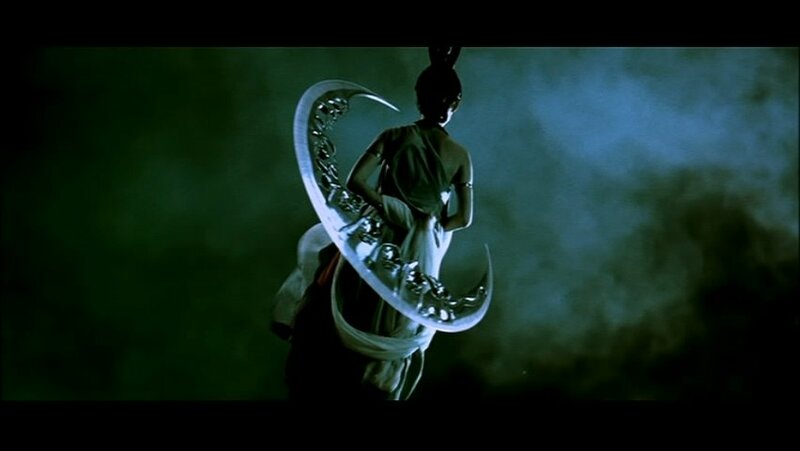 While this is a staple device of various Hong Kong fantasy movies (such as the fantastic Chinese Ghost Story 2) it simply doesn't work well in this capacity, as Insomnia is clearly inhuman to begin with so the nuance of a male character with a female voice (usually to signify a holy man) is completely lost on the audience. 1. Prologue: Here we learn that Insomnia (the main bad guy) is systematically wiping out the immortal clans of Zu. 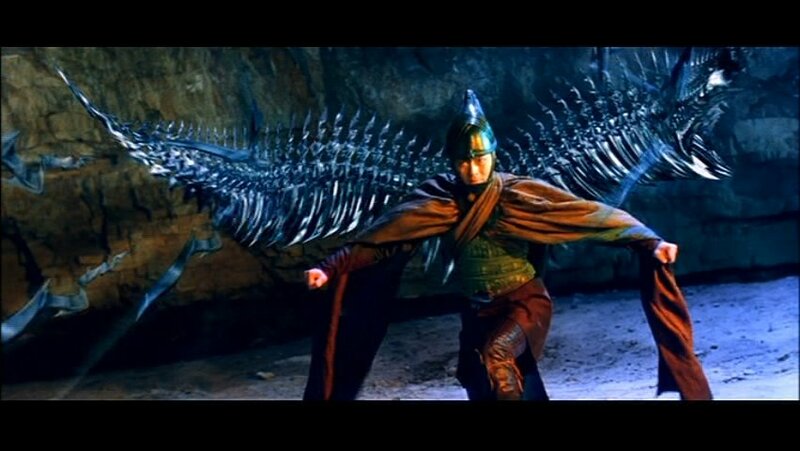 Dawn (Cecilia Chung), leader of the Kun Lun clan passes her weapons to her pupil King Sky (Ekin Cheng) as her final act before Insomnia destroys her. 2. Battle with Insomnia: We fast forward 200 years and Insomnia is planning to attack the most powerful clan (Omei). King Sky comes out of hibernation/meditation (?) whereupon he meets up with fellow immortal Red (Louis Koo), the second most powerful warrior of the Omei clan. Together they face off against Insomnia who simply creates evil doppelgangers of them. With them occupied, Insomnia attacks Omei itself. However he is met in combat by White Brows (Sammo Hung), Grandmaster of Omei, who defeats him. However, a fragment of Insomnias manifestation escapes destruction. 3. The Blood Cave: The various immortals of Omei track the fragment of Insomnia but it enters the ground itself. Two of their greatest warriors, Enigma (Cecilia Chung…who is the reincarnation of Dawn) and Hollow (Jacky Wu) let rip with a powerful display of pyrotechnics using the sword of heaven and sword of thunder respectively. However, this was part of Insomnias plan to have them expend their power while in close proximity to the blood cave which reopens and begins drawing energy from the rest of Zu. Insomnia then hides in the blood cave, which absorbs power used within it, making it a hazardous place. After a botched attempt to find and destroy Insomnia within the cave, Red is tasked to guard the entrance. 4. The Best Laid Plans: To defeat Insomnia White Brows suggests that the swords of heaven and thunder should join. Unfortunately this plan goes awry as Hollow is killed in the process. White Brows reincarnates Hollow (now called Ying) using the power of the sword of thunder however, it will take time for him to reach enlightenment, when he and Enigma can try to join the swords together again. Just in case that doesn’t work White Brows decides to fashion the Tri-Element Blade (composed of mind, the universe and regeneration). 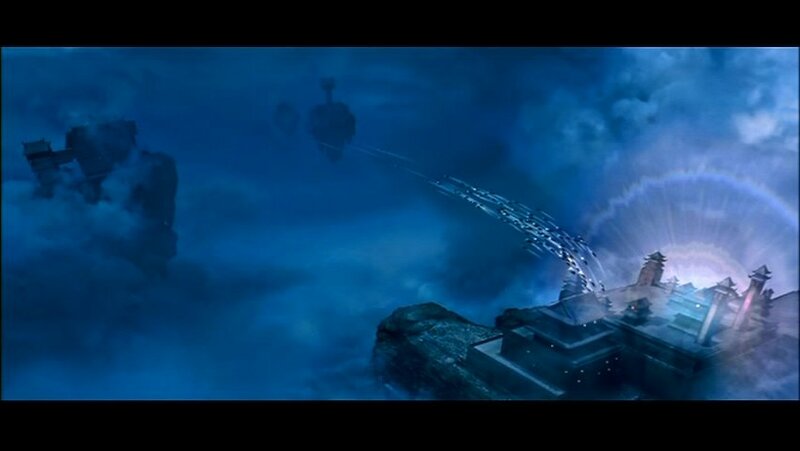 He already possesses the Ming Fire which is the mind part, he says he must journey to another plane to find the universe, and that King Sky has the power of regeneration within him. White Brows departs for places unknown. Unfortunately Red, while guarding the mouth of the Blood Cave gets possessed by an evil fairy called Amnesia. King Sky dies in the Tri-Element Hall trying to unlock the secret power of regeneration said to be within himself. 5. Attack on Omei: With White Brows elsewhere, Red on duty (or so they think), King Sky dead, Enigma wounded and Hollow/Ying still not having reached enlightenment, the remaining immortals of Omei start to panic. The constable of Omei, called Thunder (Patrick Tam), not to be confused with Hollow/Ying who wields the sword of thunder, decides he must find Red to lead them before the impending final battle. Just as he is about to go find him, Red appears, unconscious, before them. 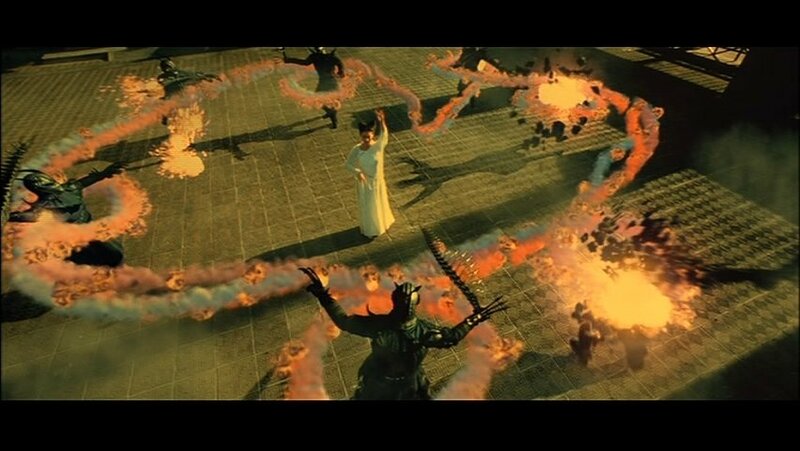 As they go to his aid, multiple Phantom Troopers emerge from Reds body and begin to attack the immortals. In the ensuing battle many immortals are killed and even Thunder is unable to permanently defeat a single Phantom Trooper so he reluctantly orders the evacuation of Omei, with many being cut down as they try to flee. Enigma shows up and takes on the Phantom Troopers who seem a lot more vulnerable to the sword of heaven she wields. However, she then tries to help (Evil) Red who then possesses her and takes her prisoner. (Evil) Red then goes on to destroy Omei, which inadvertently causes the Ming Fire to fall to the earth. 6. Attack on the Blood Cave: King Sky is resurrected by the Ming Fire, and White Brows manages to send him the power of the universe, third and final element. Combining the elements grants him the Tri-Element Blade. In tandem with Ying, who has become enlightened and regained the sword of thunder, they set off (by Astral Projection) to rescue Enigma in the Blood Cave, leaving their bodies to be protected by Master Transcendental and the Nan-Hei Clan. Ying rescues Enigma while King Sky holds off Evil Red who now wields White Brows Sky Deflector. 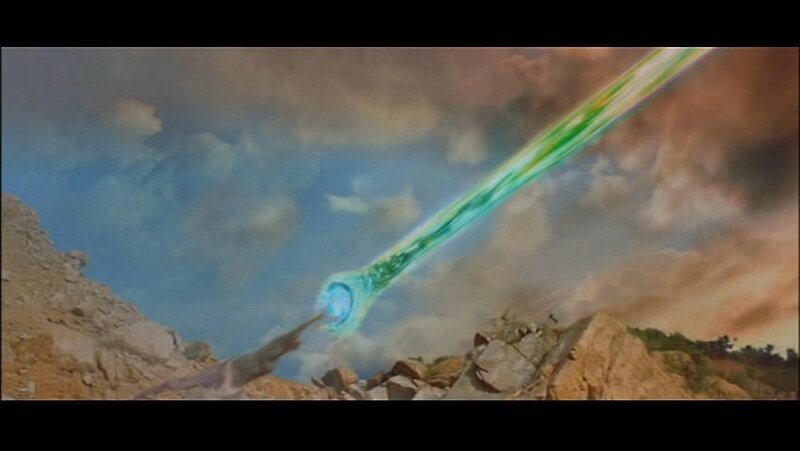 However, the power of the Blood Cave has even drained power from the Tri-Element Blade. As a last desperate act using the Moon Orb King Sky manages to escape the Blood Cave. 7. Final Battle against Insomnia: Enigma and Ying return just in time to save Ying’s body and face off against Insomnia. They manage to combine the heaven and thunder swords and kill Insomnia. Unfortunately Insomnia immediately rejuvenates divulging that he has 9,999 souls and each one can be used to rejuvenate him, so they have to kill him 9,999 times whereas he only has to kill them once. They change tactics and decide to attack the power of the blood cave that Insomnia is tapping. However, Insomnia holds King Sky’s body so to attack his power would kill King Sky. Cue the arrival of King Sky’s spirit, who returns from his battle with Evil Red just in the nick of time to bond with his body. Then a combination of King Sky, Enigma and Ying manage to destroy Insomnia once and for all. Enigma sacrifices herself in the attack, however it appears that such self sacrifice allows her to be reincarnated. Insomnia (Lesser Deity and later Intermediate Deity) – 49HD, later 73 HD. Mistress Dawn (Lesser Deity) – leader of the Kun Lun clan. Wielder of the Sun and Moon Orbs (until she gives them to King Sky) 43rd -level Fighter. King Sky (Demi-deity) – 2nd in command, and later the leader of the Kun Lun clan, wielder of the Sun and Moon Orbs. 38th-level Fighter. Red (Demi-deity) – 2nd in command of Omei clan, wielder of the 72-Blades. 36th-level Fighter. Enigma (Quasi-deity), reincarnation of Dawn. Guardian of Omei, wielder of the Sword of Heaven. 29th -level Fighter. Hollow (Quasi-deity) later reincarnated as Ying. Guardian of Omei, wielder of the Sword of Thunder. 25th -level Fighter. Phantom Troopers – Evil Constructs created out of the 72-Blades (Red's magical wings). 36 Hit Dice. Thunder (Hero-deity) – Constable of Omei, wielder of the Split Sword. 24th -level Fighter. The 7 Saints (Hero-deities) – Captains of Omei. 1d6+17 Levels. Amnesia – Evil Fey servant of Insomnia. The 300 Castles (Hero-deities) – Various Immortals 1d6+14 Levels. 3. Kun Lun San – ? 4. Low San – ? 5. Nan Hei San – ? 9. Meru San - ? San basically refers to Mountain, so replace that with Clan to denote the organisation. The three Clans which we see represented in the Zu movies are: Kun Lun, Nan Hei and O Mei. Its unknown if the evil disciples are part of another clan or some sort of independant force altogether. The Chinese word for immortal (Hsien) derives from the characters for Man and Mountain. Legends basically arose from tales of eccentric behaviour from secluded hermits. Its possible that each of these clans derives from one of the major immortals of Chinese mythology (which would make the clan leaders intermediate powers), or, that each clan represents some sort of half-way house between Heaven and Earth.